Interested in buying a Mini? 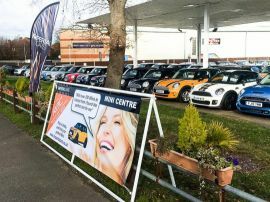 With over 89 currently in stock, Imperial Cars Swanwick is the perfect place to come to find your ideal used Mini. Current Minis available for sale at Swanwick range from a great value Mini Hatchback at under £5,000 to a nearly new British racing green 2015 model for just over £20,000 - a bargain! Imperial Cars Swanwick stock a variety of Minis from the wide range available, so whether you have a particular Mini in mind or you’re yet to discover the perfect one for you - we can help! From the more traditional Mini Hatchback (available in 3 or 5 doors) to the bigger, more practical Mini Clubman - there are plenty of Minis to see at Imperial Cars Swanwick. We also stock crossover Mini models - the Countryman and Paceman for those interested in 4 wheel drive and all wheel drive options. If you are looking for something a little more fun, Imperial Cars Swanwick have a selection of Mini Coupe, Roadster and Convertible vehicles ready to drive away today. Whatever your budget and individual requirements, we’re sure to have something suitable for you. Mini offer a wide range of specifications, extras and extra packs including the Mini One to the Cooper, Cooper S, Cooper SD, Cooper D and John Cooper Works. Many of the used Minis we have available at Imperial Cars Swanwick come with exciting extra packs such as the Chili Pack, Pepper Pack and Media Pack to make driving your Mini even more enjoyable. A number our top specification Minis include luxury features such as panoramic roofs, leather seats and XL sat navs. Find out more about Minis in stock at Imperial Car Swanwick. When it comes to financing your Mini, Imperial Cars make it easy with our flexible finance offers. It’s quick and simple to arrange finance for your new vehicle with PCP (Personal Contract Hire) or HP (Hire Purchase). Once you have found a vehicle you love on our website, just click on the finance calculator to see PCP and HP illustrations based on your deposit, part exchange, repayment period and mileage. To help you find the right Mini for your budget you can even search by monthly budget when browsing the Minis available. Find out more about our Finance here. Imperial Cars Swanwick in Fareham, Hampshire is conveniently located on the A27 just a few miles off the M27 motorway. You will find us next to Swanwick Business Park, opposite The Old Ship pub. 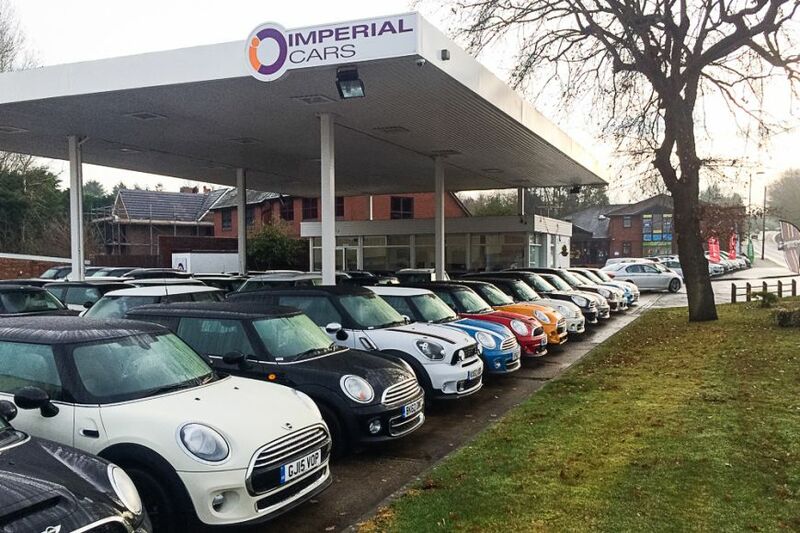 To discover our amazing selection of Minis, come and visit us at Imperial Cars Swanwick or browse the 336 Minis we currently have in stock on our website.